Our last stop in Vietnam was the crowded Ho Chi Minh (former Saigon). There is not much to do here but out main point of interest was the Mekong Delta and we managed to squeeze in a day trip to the Cu Chi Tunnels as well. The Cu Chi tunnels are a huge network of connecting underground …uhmmm…tunnels used by the Viet Cong soldiers as hiding spots during the Vietnam War. The trip was a valuable and interesting history lesson for us, and the cool thing is that you get to experience it yourself by going in one of the tunnels…if you are brave enough! 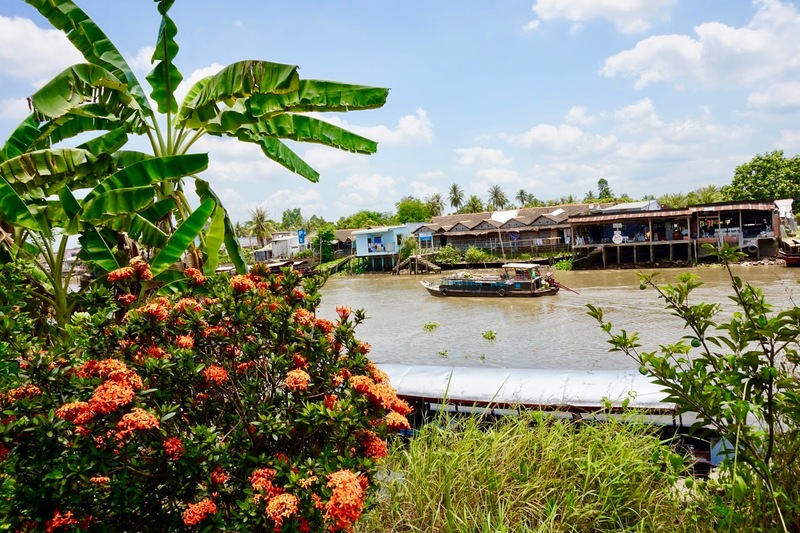 The Mekong Delta is a lovely place, but dirtier than expected. Considering however that you will not go swimming in those waters, it was a remarkable experience to go with a bamboo boat along the delta. 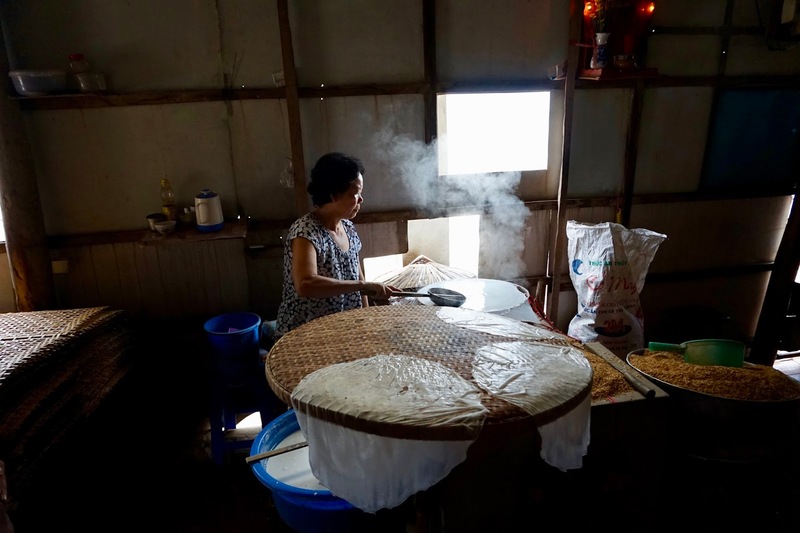 The trip included a visit to a traditional family’s home/business where they make rice paper and an assortment of sweets. It was a bit difficult to choose a good tour operator for this trip as most of them had bad reviews. 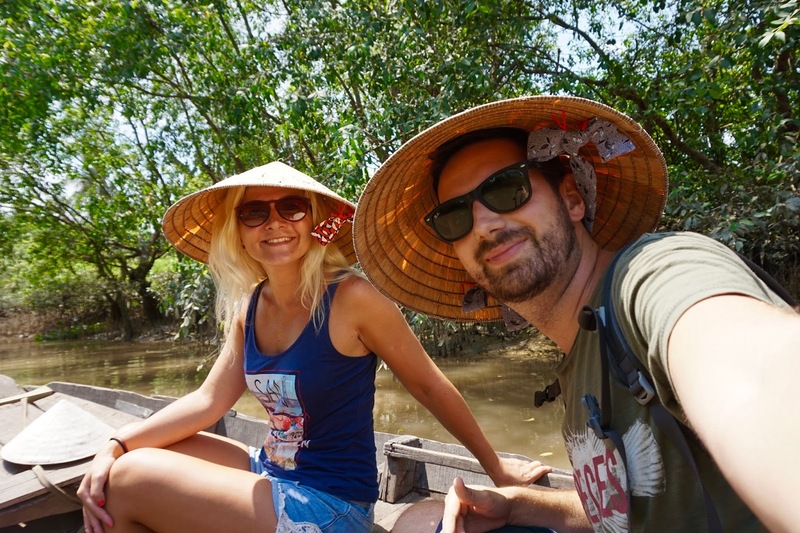 The difference between them is that they each take you through a different part of the delta and the short bamboo ride can be either between a marsh with lush vegetation, making the place a fairy tale, or one with just a few trees, which won't be that impressive.